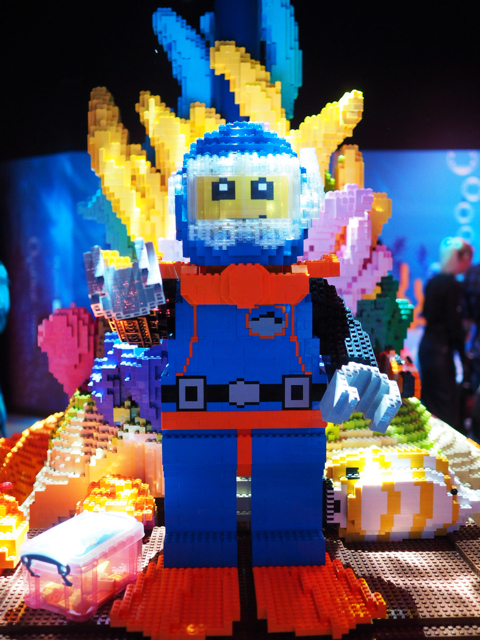 This morning, Legoland Discovery Centre in Melbourne launched a new LEGO play zone: Underwater Quest. Kate and her little ones checked out the new play zone and the center and loved it! Visitors can create exciting new creatures, ships and submarines to explore the seas and be amazed as projected animation brings the water and LEGO models to life. A new interactive digital build table is the highlight of the new experience with created lego projected onto the table. Kids can follow steps by steps on screen and create their own fish, shark and the like. They can also have a play and pretend they are driving a submarine pod and look out for sharks ha! Or create other objects made of LEGO. The new experience is made up of over 200,000 LEGO blocks and it took the dedicated team at Legoland over 700 hours to complete the build. This build is one of only three Underwater Quests in the world. How impressive, we love it! Underwater Quest is perfect for the school holidays! Entry to Underwater Quest is included in admission price. For our full review & tips of Legoland Discovery Centre in Melbourne, head here. For more information on Legoland and their latest news, head here. Busy City Kids were invited to the launch of Underwater Quest at Legoland Discovery Melbourne for the purpose of a review. All opinions & feedback are genuine & truthful. Travel, parking and food were self funded.